This groups intended goal is to bring writers together, encourage writing well, provide advice for writing, and potentially hold contests. If you have a question of any kind, at all related to writing, ask it. EX. Different routes for publishing? How to advertise? How do I write a script for a movie or video game? 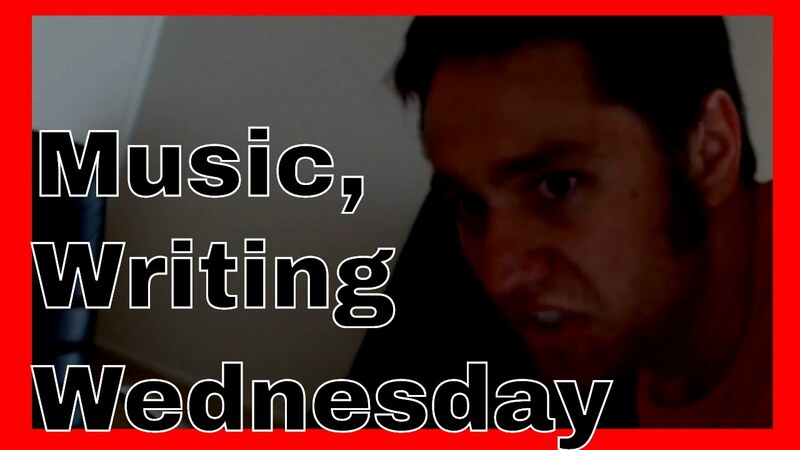 Writing Wednesday: Every Wednesday of the week there will be a new video on my channel where I go over advice given by popular and successful authors. At the end of the video there will be a challenge to other writers, which if met will result in one lucky writer being featured in the following weeks video. A Member of the Week will be chosen every week. Books will be chosen and featured monthly. PROMOTION IS ALLOWED AS LONG AS YOU DONT JUST POST A LINK. You need to talk about what youre trying to get us to look at. Suggestions for what to say include, but are not limited to: a summary, or what inspired you to write/create it in the first place. Feel free to join the group if you are an avid writer, reader, or wish to become one. Welcome to the group. You can submit your writing to my contest and get it featured in the next video. This isn't the first Writing Wednesday and it won't be the last. They have been averaging 100-200 views, but the most viewed WW got around 1500 views. That's a lot of free exposure. I won't be posting this to any groups, as I don't want to deal with the negative response it keeps getting. If you like the contest and want it to gain momentum, I'd appreciate you sharing it with groups/your friends. Thanks for taking the time to read this! Write on! Post a link to your story here to receive free critique on the first page or 1000 words of your work. Ensure you don't post two works back to back and have at least one other person's work in between your posts. I read the first page. It makes sense, but a lot of it also doesn't at the same time. You use the wrong words in multiple places and the grammar needs improvement. For example, "Marj cursed inside as she has her black hoodie in his rightful place." This sentence is all over the place. The story does intrigue me as the action starts right away... but it confuses me more. Continue the story, but go back over it soon and put it into a word document so some things are auto-corrected. Every week a member of this group will be chosen who I feel have contributed the most, either through talking frequently in the comments, starting interesting posts, or simply giving a good piece of advice to someone in the group. Each week the chosen member will be able to choose between getting our help in promotion or thorough critique of their chosen work. Every week a member of this group will be chosen who Primrose or I feel have contributed the most, either through talking frequently in the comments, starting interesting posts, or simply giving a good piece of advice to someone in the group. Each week the chosen member will be able to choose between getting our help in promotion or in a thorough critique of their chosen work. This will be resumed on the 31'st and chosen every following Wednesday. I remember vaguely a group having a thread where they gave feedback on the first page of people's work. My memory fails to recall whether or not it is still going on, but I think not. Either way, feel free to post a link here to your book and Primrose or I will read through the first page and provide our honest feedback here. No rules besides a convenient working link, I will read anything, but you have to give me the ease to do so with a single click. Depending on how popular this is I may have to close and reopen comments in order to catch up. The poem good except for a few easily fixable mistakes. The first meeting was, oh! Zombie horror combines with military battles, guts and gore exploding from the pages of this super awesome, action-packed read. If you like a fast moving, thrill ride of a book, be sure and check this one out. Amazon.com: Bloody Raged Corpses eBook: Rookie Burwick: Books https://www.amazon.com/Bloody-Raged-Corpses-Rookie-Burwick-ebook/dp/B078G4S36Q/ref=sr_1_1_twi_kin_1?s=books&ie=UTF8&qid=1514687058&sr=1-1&keywords=bloody+raged+corpses Bloody Raged Corpses - Kindle edition by Rookie Burwick. Download it once and read it on your Kindle device, PC, phones or tablets. Use features like bookmarks, note taking and highlighting while reading Bloody Raged Corpses. I'll expect your opinion and comments on it. It would be a motivation for me and to improve my mistakes.